Becky attended Keene, TR and RV until 1978 when her family moved into Coshocton. Becky attended the last two years at the JVS, but had to graduate from CHS. Bill was born January 25, 1958 to Arthur "Popeye" and Ruth Stevenson. Bill was killed in a car accident on February 5, 1975. Bill is missed by his family and friends. you will always be in my heart. 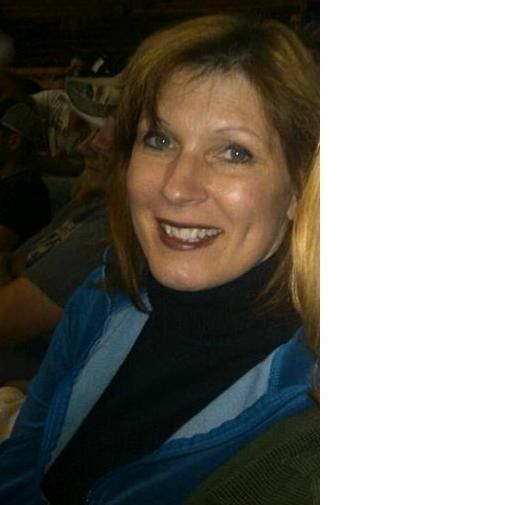 Cara G. Miller, 53, of Spring Valley, passed away Wednesday, January 14, at her residence. She was born July 4, 1961, in Coshocton, Ohio, the daughter of Harl and Maxine Nichols Todd. She is survived by her husband, Max S. Miller, whom she married, December 25, 1999, her mother, Maxine (Nichols) Todd, of Dublin, OH, a step-daughter, Bethany Miller, Florida, a sister, Belva (Alan) Lauvray, Coshocton, a brother, Phil Todd (special friend, Connie), St. Louis, MO, a very dear uncle, Roy Nichols, by numerous nieces and nephews, and by her dear girlfriends and their spouses. She was preceded in death by her father, Harl Todd, who was her inspiration for her annual involvement with Hospice of Dayton’s Remembrance Walk. She and her team “Harl’s Harem” earned numerous awards for funds raised. Cara also participated in many 5K walks for breast cancer awareness and other charitable organizations. Cara was the Development System Manager (DSM), F-15 Division, Fighters and Bombers Directorate, Air Force Life Cycle Management Center (AFLCMC), Air Force Materiel Command (AFMC), Wright-Patterson AFB, Ohio. As DSM, she was responsible for all development and acquisition activities for the F-15 weapon systems. She entered Civil Service in 1984. Her first assignment was as a Clerk Typist with the Defense Electronics Supply Center in Kettering, Ohio. She came to Wright-Patterson AFB, Ohio, in 1988 where she has served in various capacities in acquisition and logistics career fields at AFLCMC and at Headquarters Air Force Materiel Command (HQ AFMC). During assignments at Wright-Patterson AFB, Ohio, she worked as a logistician for KC-135 System Program Office and as a program manager for the Productivity, Reliability, Availability and Maintainability (PRAM) Office, the JPATS T-6A and the C-17 Systems Program Offices. In 2005 she served as Branch Chief of Development Planning and subsequently Requirements & Planning, HQ AFMC. She was selected in October 2008 to be the Acting Group Commander, F-22 Modernization Group, F-22 System Wing. She also served as Acting Deputy, F-22 System Program Office and Chief, F-22 Integration Branch. Ms. Miller assumed her current position In May 2013. She had a Bachelor of Science from Park College, Parkville, Missouri (1989), attended Squadron Officers School, Correspondence (1994), a Master of Science (1998), Wright State University, Fairborn, and attended Air Command and Staff College, Correspondence (2005), and was currently enrolled in Air War College. She received the following awards and decorations; FEW Supervisor of the Year 2006, 2008, Boeing Silver Eagle of Excellence Award 2004, and ASC Productivity Enhancement Award for Professional Excellence 1997. Private services will be held at the convenience of the family. In lieu of flowers, contributions may be made to Hospice of Dayton, 324 Wilmington Ave., Dayton, OH, 45420. Condolences may be made to the family at www.NeeldFuneralHome.com. 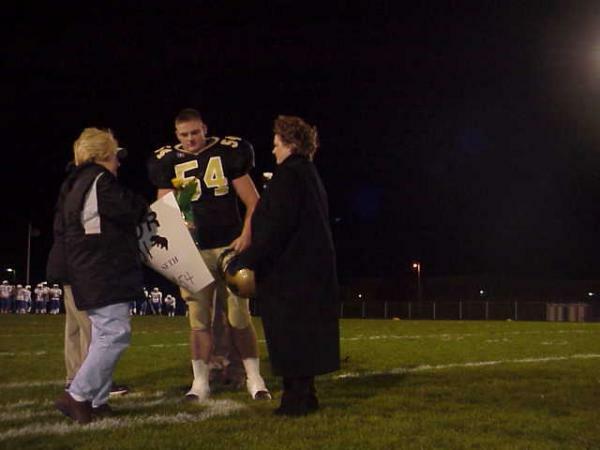 Seth was killed in a car accident in March 13, 2005. I miss him everyday and he is always in my thoughts!! CRAIG A. ERMAN, age 44, passed away Monday, July 10, 2006, at his home, 4707 Summer Place Parkway, Hoover, AL. He was born November 13, 1961 in Coshocton, Ohio to Richard E. and Jacquelyn Erman, who survive. Craig was a 1980 graduate of River View High School, and attended Ohio University. On September 15, 1990 he married Jennifer Pfeiffer of Columbus, OH, who survives, along with two sons Nicolas and John Paul of the home. He is also survived by a brother, Keven (Patty) Erman, niece Kenzie Erman of West Lafayette, nephew Matt Erman of Fresno, also many aunts, uncles and cousins. Craig was a Christian man, a loving father, and friend. He loved life and never met a stranger. He was a member of the Ohio High School Association of Baseball, and had recently been accepted into the State Association of Umpires in Alabama. He was employed as a Project Manager for X-Clad in Pelham, Al. He is preceded in death by his grandparents, Arthur and Ruth Erman, and Tom and Ruth Darner. Funeral services will be held Monday, July 17, 2006 at 10:00 a.m., in the chapel of Given-Dawson Funeral Home, Coshocton, with Pastor Russell Johnson, officiating. Burial will follow in Coshocton County Memory Gardens Cemetery. Friends may call at the funeral home on Sunday, July 16, from 2 to 5 p.m.
Darlene Marie "Angel" Neff, 30, of Freeport, died Friday, March 23, 2007 at her home after a courageous three-year battle with cancer. She was born January 5, 1977 in Cambridge, daughter of Susan (Adams) Neff and Tim Neff. Miss Neff was a Radiology Technician for The Ohio State University Medical Center of Columbus. Miss Neff was a 1995 graduate of River View High School. She was a 1999 graduate of The Ohio State University, where she received a Bachelor’s Degree in Allied Health Services. She was an avid Ohio State Buckeyes fan and a major promoter of the Buckeyes Football Boosters. She enjoyed scrapbooking and spending time with her family. She loved her pet cat, Tay-Tay, dearly. Miss Neff was preceded in death by her maternal and paternal grandmothers. She leaves her mother, Susan (Adams) Neff of Tallmadge OH; her father and step-mother, Tim and Maureena Neff of Freeport OH; three brothers, Tim (& Jaclyn) Neff Jr. of Uhrichsville OH, Jacob Phillips of the home and Sam Neff of Cambridge; a sister, Jenny (& Scott) Hickman of Cambridge; her paternal grandfather, Harold A. "Pete" Neff of Freeport OH; her maternal grandfather, Jerry Adams of Akron OH; and numerous nieces, nephews, aunts, uncles and cousins. Family and friends may call on Monday (March 26, 2007) from 2 p.m. to 7 p.m. at Thorn-Black Funeral Home, 139 S 9th Street, Cambridge. A memorial service conducted by her family and friends will follow on Monday at 7:30 p.m. Everyone is encouraged to wear the “Scarlet and Gray” of The Ohio State Buckeyes to the memorial service. Memorial contributions may be made to: Valley Hospice, 380 Summit Avenue, Steubenville OH 43952. Jim was my (Bill Erow) brother and he died of a heart attack 3 years ago, he was 47. April 29th was his birthday and I just wanted anyone who knew him to remember our family. Thank you all. Bill, Kathy and Beth Ann Erow. LANCASTER, MO: Earl Edward Tish II, 48, died Monday, June 28, 2010 at the Mayo Clinic in Rochester, Minnesota following a lifelong battle with Marfans Syndrome. He was born on July 11, 1961 in Newark, Ohio to Patricia Ann (Donahue) Tish and the late Walter Gerald Tish in Coshocton. Earl was a graduate from River View High School in 1980. He also earned a Masters Degree in Business and Recreation at Chadron College in Chadron, Nebraska in 1991. In 1994 he attended the Salvation Army School for Officer Training in Suffren, NY where he became and ordained minister. He is survived by his wife, Debborah Lou (Foster) whom he married on July 1, 1989; also surviving are his four daughters, Patricia, Michelle, Chloe, and Helen who all remain in the home; as well as a sister, Rita L. Sterling of Coshocton; a brother, Peter D. Tish of Coshocton; a sister, Juanita M. (Dwayne) Maust of Coshocton; and many nieces and nephews. A memorial service will be held at New Life Ministries on Saturday, July 10, 2010 at 2 p.m. with Pastor Sharon Kirch officiating. In lieu of flowers, memorial contributions can be sent to Juanita Maust, 420 Elm Street Coshocton, OH, 43812. Jacqueline â€œJackiâ€ Crider Unger, 47 of Coshocton, passed away on February 23, 2010. Jacki was born on September 3, 1962 in Coshocton, to Linda (Stone) Crider and the late John Lewis Crider. On October 15, 1994 she married William Anthony (Tony) Unger. In addition to her husband Jacki is survived by her daughters, Kasey Rose (Justin) Kintz, Kallie Elizabeth Unger: and son William Jackson Unger; brother John (Chip) Lewis (Brandi) Crider; sister Jodi (Bruce) Stevens all of Coshocton; and by several aunts, uncles, nieces and nephews, who all will miss her greatly. After graduating from River View High School, Jacki worked at BancOhio, and then worked as a dental assistant for Dr. Randy Krueter at Three River Dental Arts. Jacki loved attending her childrenâ€™s athleticsâ€™ and dancing events, spending time scrapbooking photos of her children, going to the beach and spending time with her family. Jacki was a very giving and caring person. Funeral services will be held at 2:00pm on Sunday February 28th, 2010, at Given- Dawson Funeral Home, Coshocton, with Rev. Don Dolick officiating. Burial will be in Branch Church Cemetery in Coshocton County. Calling hours are from 4 to 8pm on Saturday February 27th, 2010 at the funeral home. Memorial contributions may be made to the Jacki Unger Memorial Fund c/o Home Loan & Savings Bank, 413 Main Street, Coshocton, OH 43812. COSHOCTON: Jill R. McCall, 52, of Coshocton passed away at her home surrounded by her family on Monday November 24, 2014 after a courageous battle with cancer. Jill was born in Coshocton on March 29, 1962 to Robert and Lois Allen. She graduated from River View High School, worked a Robinsons Restaurant and was currently working for Kraft Foods; Jill would have been employed there for 20 years next month. She loved working, spending time with her family, cooking, enjoyed having several Great Danes, watching her children's sporting events and working outside around her home. Jill is survived by her husband, James "Mac" McCall; her children, Matthew (Melissa) McCall of TN and Caitlin (Neal Wears) McCall of Coshocton; her mother, Lois (Butch Jacobs) Allen of Warsaw; two brothers, Joey Allen of Coshocton and Jackie (Linda) Allen of TN. She is preceded in death by her father, Robert; and grandmother, Fern Berry. A celebration of Jill's life will be held at The Miller Funeral Home, 639 Main St., Coshocton on Friday November 28, 2014 at 7:00 PM with Pastor Mark Granger officiating.